Sergey Kovalev will enter the ring for the first time this year when he takes on Cedric Agnew on Saturday, March 29, at Atlantic City’s Boardwalk Hall. Kovalev will pit his 23-0-1 (21 KOs) record against the similarly undefeated Cedric Agnew (26-0-0, 13 KOs), who will be making his HBO debut on Boxing After Dark at 10:00 PM ET/PT. Fresh off four victories in 2014 -- including his HBO debut and title-winning bout against Nathan Cleverly in August -- Kovalev boasts an average knock-out rate of less than four rounds going back to December 2011. He’ll aim to defend his light heavyweight title for a second time when he faces off against Agnew. 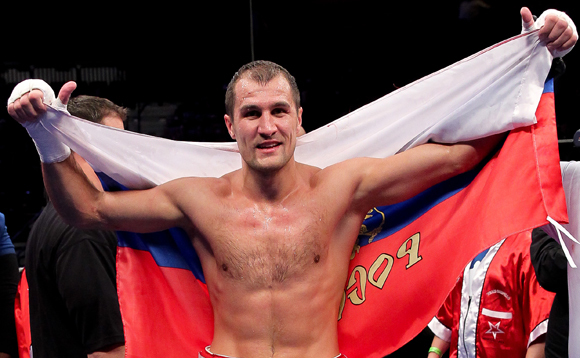 Watch Kovalev’s win over Cleverly here. Follow HBO Boxing on Twitter, Facebook and Instagram for more. For a full list of upcoming fights, visit HBO.com.